Looking for a Used Cell Phone? We have over 1000 others in stock! Click here. Includes phone and battery only. No cables or sim card included. Cellular service locked to Verizon. 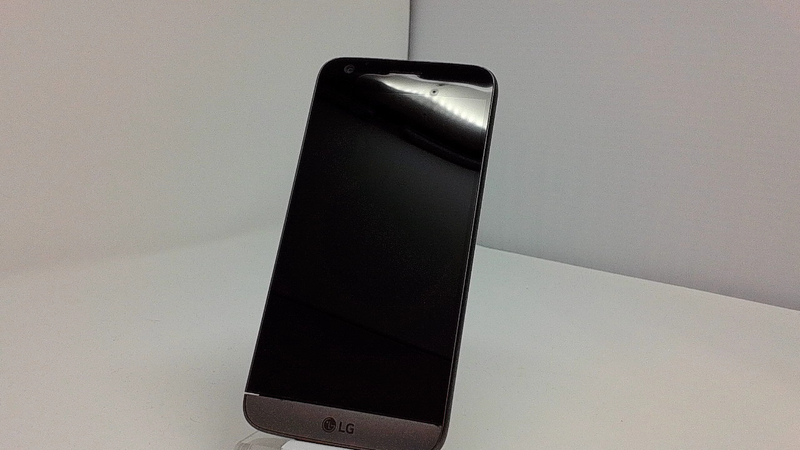 Bad ESN, LG BAR style smartphone in Titanium. Phone glass in near pristine condition with few scratches, housing scratched/dinged/scuffed, glass over camera eye ONLY cracked. Phone is used and in working condition. This device is working but has a bad ESN. You will not be able to activate this on some carriers. Good Android phone with 2.15Ghz Quad-Core processor provides good performance and great system execution of the LG G5 VS987. With one SIM card slot, the LG G5 VS987 allows download up to 450 Mbps for internet browsing, but it also depends on the carrier. 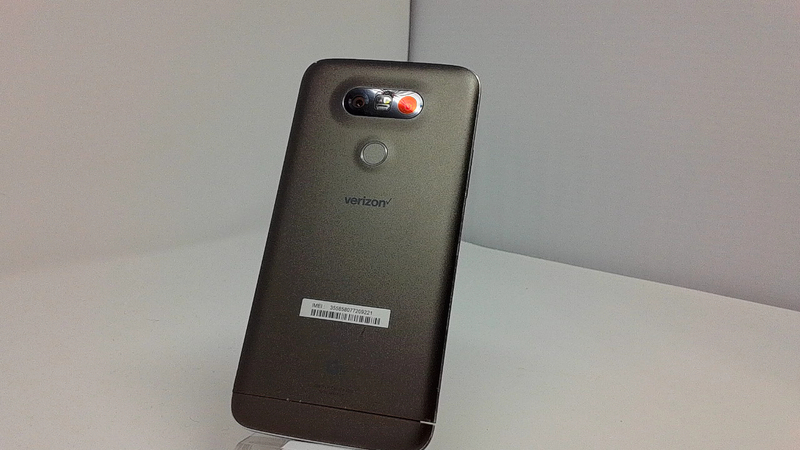 Including the battery, the LG G5 VS987 phone has 159 grams and it's a very thin device, only 7.7 mm. This device is being sold with a Bad ESN/IMEI. The ESN/IMEI number is an identifier used by cell phone carriers to determine if a device can be activated and used on their network. Devices marked bad WILL NOT be able to make phone calls or use cellular data on their original network. Typically, the device will work internationally on a different compatible carrier or the parts excluding the logic board can be used towards repairing a similar device.